Base is made of genuine neem wood. The neem tree is one of the most versatile of India’s plants. Valued for centuries throughout tropical Asia for its multitude of medicinal and other uses, it has ¬recently attracted attention in the United States as an effective botanical insecticide. Neem wood is now becoming a popular option for furniture manufacturers. The advantage of using this is that it is a strong wood making it durable and giving your furniture a long life. Secondly, due to the pest repelling aromatic properties of the wood; it is termite free. ♥Power cord: 6ft Power card with Dimmable Rotary Switch. Reliable & Easy to Use Dimmable Lighting: Adjust the simple rotary knob on electronic dimmer to get the desired intensity of Glow. Note: Due to the natural variation in Himalayan Crystal salt, weight, size, color and shape may vary. Unique Design: 100% himalayan crystal salts from Himalayan Mountains with durable base made of Neem wood, its exquisite hand carved shape is perfect for decoration. Dimmer Control: Come with dimmer switch, you can adjust the luminance by rotating the ridged wheel on switch. If you have any questions about this product by Himalayan Glow, contact us by completing and submitting the form below. If you are looking for a specif part number, please include it with your message. Rose Quartz Crystal Lamp, Best quality Rose Quartz Lamp. 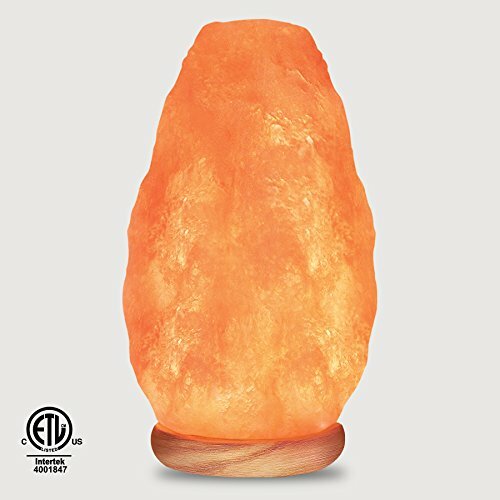 Authentic Yellow Tree Company Lamp, Better than Himalayan Salt Lamp, Rose Quartz Lamp RQL.